Year of publication: 1977. Fontana edition 1981. 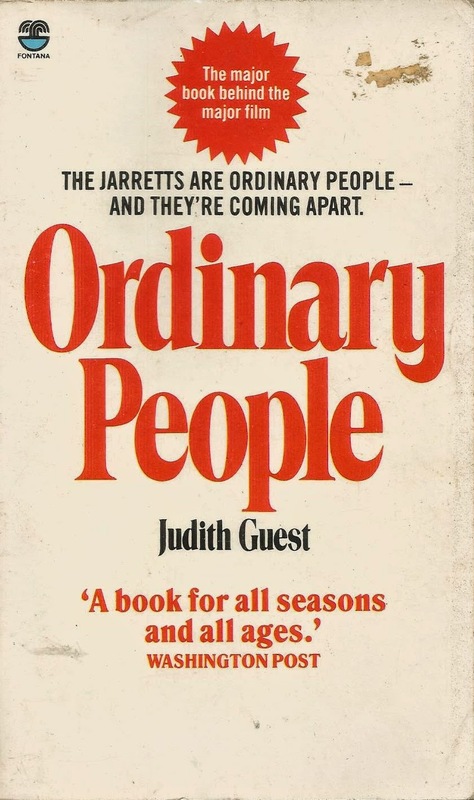 Reading reveals: I've long been a fan of Robert Redford's film version of Ordinary People, in which Judd Hirsch plays the world's best psychiatrist (too bad he's fictional), and we find Hollywood taking a long, unsentimental gaze at the world of everyday mental health - a rarity indeed. In it, and the novel on which it is based, a family recovering from the death of one son in a boating accident must now deal with the attempted suicide of his guilt-ridden brother. Perhaps even more so than the film, Guest's book captures the reality of grief - a constant scream in the background as life goes on. It's dropped off the radar in the UK, but well worth tracking down. A warm, humane book that asks us to go a bit easier on ourselves.